As a geologist in the early years of my career (see right*), there was a prevailing theory that the “hard rocks” resources sector (e.g. gold, silver, copper etc.) went through a seven year cycle. 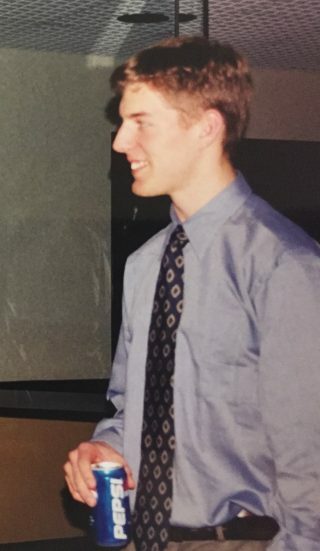 It was a rather brutal time in that respect for me to come out of university, with all of my enthusiasm and scientific optimism running into the brick wall that was an abysmal $272 per ounce gold price (currently $1630 per ounce). There were no jobs and very little exploration activity, but I knocked on doors and went to conferences and attended seminars in the hope of not flipping burgers for another summer, and this 7-year cyclical prophesy was consistently proclaimed from the bearded mouths of the industry die-hards. Of course, I now work for a different sort of company (we also tend to work with a lot of bearded folk); but being based in Perth and Brisbane, we do a lot of work with the resources sector. One of things I love about Gaia Resources is our “core work” test, where we look at the proposal or work opportunity in front of us, and decide whether there is a positive environmental outcome. It’s not always about whether the client’s business is environmental – such is the case with our Natural Resource Management (NRM) and conservation clients – but it’s also about helping all companies achieve better environmental practice and we can facilitate that through a focus on systems, spatial technology and sound information management practices. Hence… “greener rocks” as the title of this blog. 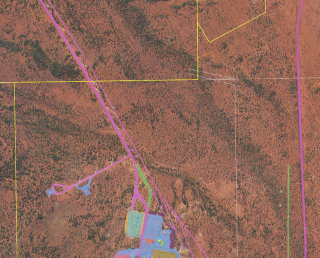 Recently, one of our mining clients came to us hoping we could help them with their GIS data, software and processes (covering off on many of the things we discussed in a blog back in May). They have been going through significant growth in the past few years on the back of acquisitions, mergers and increases (also read: stability) in those “hard-rock” commodity prices, and we were asked to contribute to improving their environmental compliance processes. After a review of the relevant legislation around the country, we are currently helping them set up Phase 1 of a comprehensive system in support of ground disturbance, rehabilitation and reporting (such as for the Mine Rehabilitation Fund, which we’ve continued to keep an eye on for a while, like this blog covers). The first phase is all about using existing technology and resources (i.e. minimal investment) to get a clear handle on what needs to be done, by whom, when and how. Existing spatial software (e.g. QGIS) and other web interfaces pull their data from a single point-of-truth database (in this instance, PostGIS) which contains automatically updated government datasets. Meanwhile, processes and technical documents will help staff understand the role they play in the flow of this critical disturbance and rehab data. The company is determined to manage its information more accurately, and not just to be compliant for the environmental regulator, but also because it makes good financial sense. In a way, they are putting a value on the environment as it relates to their assets, and investing in sound management practices. This is precisely the sort of outcome we aimed to achieve when we took on the work, and it really fits in with our core business test. The cyclical nature of the resources sector has a massive impact on company’s ability to effectively manage their information over time. What we notice is that when a company is in growth and hiring new staff, it does not necessarily plan for the corresponding investment in information management to cope with that change. When acquisitions and mergers happen, a challenge comes up around what to do with multiple stores of data, processes and systems. This can lead to a tendency for a more reactionary approach, while the progressive forward-thinking companies are able to lift their heads above the weeds and recognise that a relatively small investment can return large dividends in efficiency and better decisions. That’s a challenge we really like to take on and work with companies to solve. If you’d like to talk to us about how we could help your organisation with this, drop me a line via email at chris.roach@gaiaresources.com.au, or start a conversation with us via Facebook, Twitter or LinkedIn. * Editor’s note: There is probably a picture of Chris somewhere that is aging appropriately, because he isn’t.